The land of Colorado was once roamed by mighty stegosauruses, tricerotops and other long-necked dinosaur giants. There are several paleontolological sites and museums across Colorado where you can see ancient fossils of the state's earliest residents. 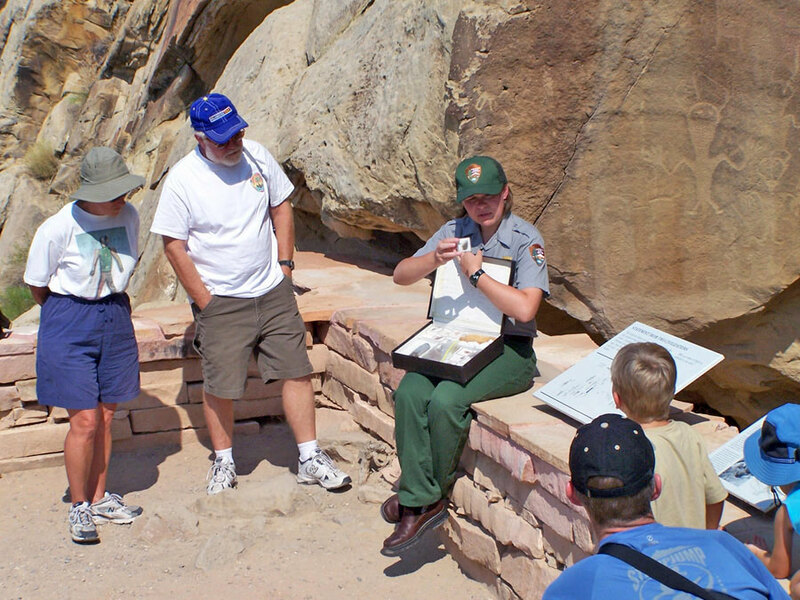 The Dinosaur National Monument brings out the childlike amazement in even the oldest adults. Inside the main visitor center, Dinosaur Quarry, visitors can see fossils from the world-famous Carnegie Dinosaur Quarry, where approximately 1,500 dinosaur bones are left in place in a cliff wall. The monument, located in northwest Colorado near on the Utah border, also has a number of self-guided trails to explore. 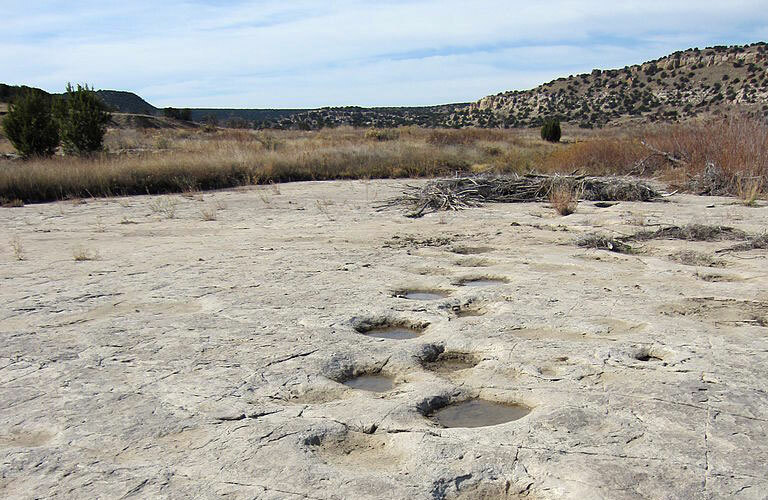 Take on gargantuan fossil tracks at the Picketwire Canyonlands south of La Junta. Here, visitors can feast their eyes on the nation’s largest collection of fossilized dinosaur footprints, as well as put their own tiny feet right inside them. The area boasts nearly 1,300 dinosaur tracks from as many as 100 different animals, all along just a half-mile stretch of the Purgatoire River. Some of today’s most notorious dinosaurs were first discovered in Dinosaur Ridge near Morrison. Since these first-in-Colorado finds, Dinosaur Ridge has become one of the world’s most famous dinosaur fossil localities. Today, you can take daily self-guided and guided tours of excavation sites and exposed fossils. For a special treat, the road is closed once a month for Dinosaur Discovery Days, when you can take guided tours to view the tracks, bones and other spectacular examples of geology and paleontology without the distraction of passing traffic. Take a different look at the earth’s prehistoric life at the Florissant Fossil Beds National Monument, just west of Pikes Peak near Cripple Creek and Colorado Springs. Here, enormous petrified redwoods and detailed fossils of ancient insects and plants tell a story of Colorado's past. The enormity of fossils in the area can be credited to gigantic volcanic eruptions that quickly buried the then-lush valley. The Royal Gorge Dinosaur Experience near Cañon City opened in July 2016, centering around a 16,000-square-foot, custom-built museum. Kids can marvel over the facility's educational and awe-worthy full-scale dinosaur casts, real dinosaur fossils, interactive displays and hands-on exhibits. Outside, animatronic dinosaurs and a multi-story ropes course round out the experience. The Dinosaur Journey Museum in Fruita is devoted to hands-on experiences — and even has robotic displays of the beasts that once called this area home. Interact with a stegosaurus, triceratops or T-rex and wander among the displays of real dinosaur bones from these and other thunder lizards. 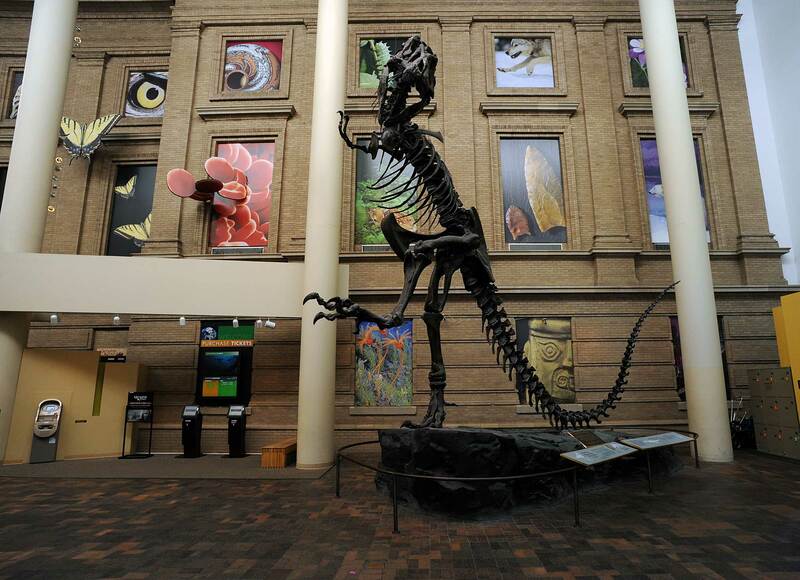 From the Prehistoric Journey exhibit and Dinosaur Gulch in the Discovery Zone to films and dino-themed events, The Denver Museum of Nature & Science provides a number of attractions for dinosaur lovers. The Prehistoric Journey exhibit welcomes you with an interactive battle between a gargantuan stegosaurus and an 80-foot-long diplodocus towering overhead. After seeing the battle, you can wander prehistoric habitats, view ancient plants and examine fossils from the museum touch carts. Learn everything you wanted to know about prehistoric lizards at the Rocky Mountain Dinosaur Resource Center in Woodland Park. Featuring some of the most spectacular dinosaurs, the resource center also has marine reptiles, flying reptiles and fish of North America’s late Cretaceous Period on display. Six miles north of Cañon City, this active natural research area has been the site of fossil discoveries for nearly 130 years. Garden Park Fossil Area features interpretive displays along walking trails that tell you about the excavation and dinosaurs discovered in the area, as well as point out rare plants and wildlife. Preserved and displayed by the Delta County Historical Society, the Delta County Museum's Jones Gallery offers a glimpse at one of the most significant dinosaur discovery sites in the world. At least 15 different kinds of animals have been recovered at the nearby Dry Mesa quarry site, and you can see the bones up-close. Plan a Colorado roadtrip along the Dinosaur Diamond Scenic and Historic Byway to see multiple dinosaur attractions in one journey.